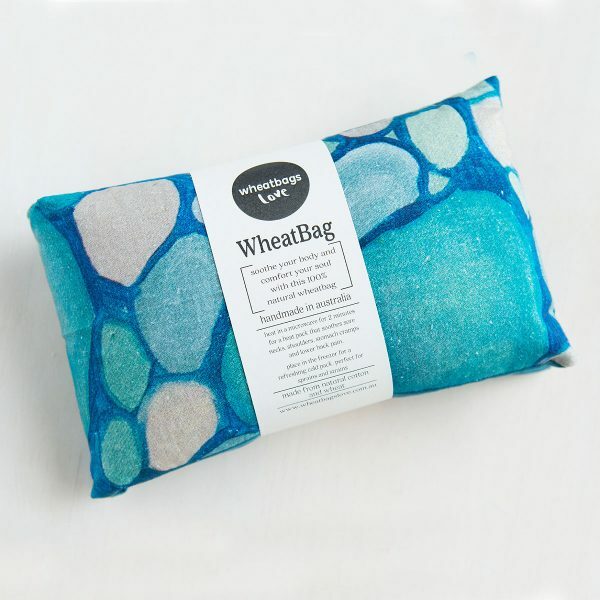 This wheat bag’s luxuriously long design means it can sit across your tense shoulders and comfortably rest without slipping off. Great to warm beds for kids on those cool evenings. 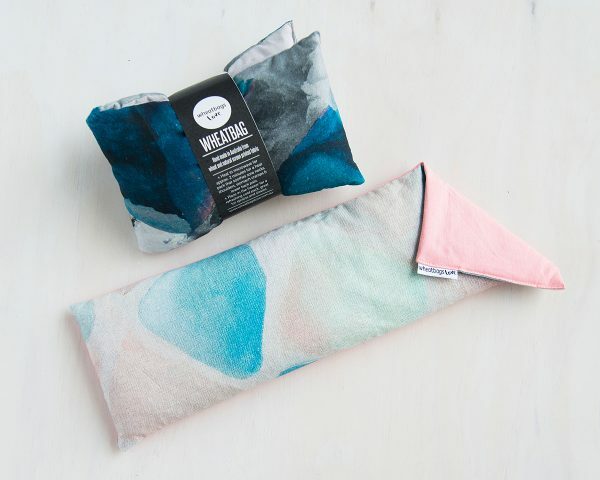 Soothing, warm or cool, on sore tummies. 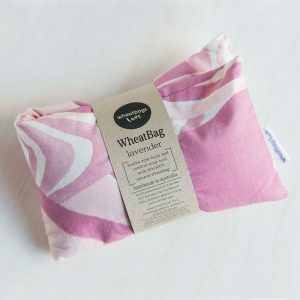 My kids and I love our wheat bags! 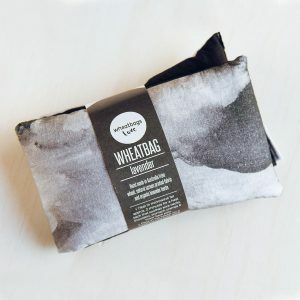 45 cm x 14 cm natural cotton wheat bag. Pebble print front with blue backing.